We all learn in different ways. For some, it’s a passive thing, soaking up information as it’s presented, for others, it means learning by doing, and for a third group, it’s a matter of taking the plunge and throwing themselves into the deep end. For Master of Management (Marketing) alumna Thanchanok Choochart, it was the latter. Thanchanok Choochart completed her undergraduate studies at Thammasat University, Thailand, where she majored in economics. Upon her graduation, she joined Phatra Securities, a prominent Thai investment firm, as a Customer Service Assistant. One year on, she decided it was time for a change of direction. With a desire to hone her English skills, Thanchanok cast her gaze abroad, exploring study options in the United States, UK, and Australia. Thanchanok came to Australia eager to immerse herself in all the country had to offer, travelling up and down the east coast, experiencing Australia’s capital cities, environment, and wildlife. 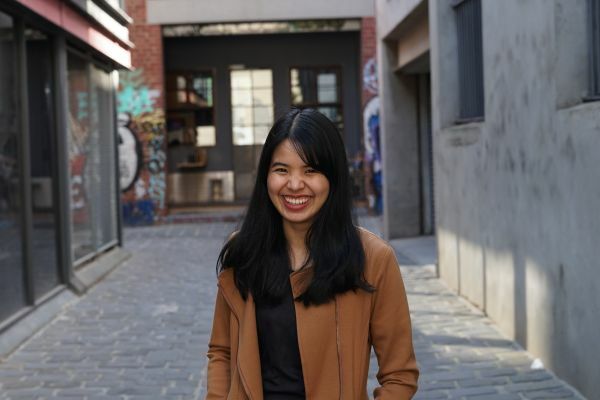 The transition to living and studying in Melbourne came with challenges as well, but Thanchanok says she found the University of Melbourne really supportive.